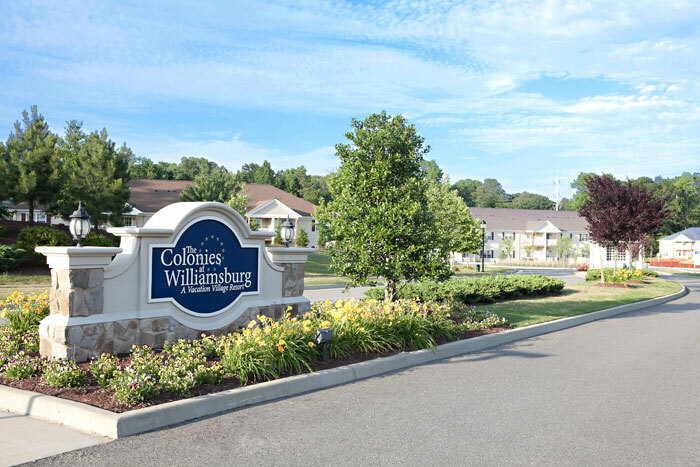 Please click here to see current availability, prices, payment options, photos and other information regarding Colonies at Williamsburg Resort condo vacation rentals. Please click here to see current availability, prices, payment options, photos and other information regarding Williamsburg Plantation Resort condo vacation rentals. The Colonies 2BR condos sleep 6 people, have 2 bathrooms, a full kitchen, patio or deck. The 1BRs at the Plantation sleep 4 and have 1 bathroom and the 2BRs at Plantation sleep 6 and have 2 bathrooms (in both the 1BR and 2BR condos at Plantation, the A side has a full kitchen and the B side kitchen lacks a range and a dishwasher; the condos sizes and furnishings are otherwise identical). We can also obtain off season lodging accommodations at Colonies at Williamsburg Resort and Vacation Village at Williamsburg Plantation Resort. Please search and enjoy using The Vacationator search engine tool.